Posted by Jonny Greenwood on 1/28/2019 5:21:36 PM. I think as a Kindle user, all of us will encounter a problem that Kindle won't turn on. In some cases, it's easy to solve. But sometimes, it really takes efforts to figure out what's wrong with the device and how to fix it. Last weekend, when I bought some eBooks from Kindle store and want to read them on my Kindle fire, I pressed the power button, only to discover that it just won’t turn on. After a bit of checking around, I discovered some solutions for this common issue. Fortunately, in most of the time, it can be fixed pretty easy. Here are some tricks to try, including extra solutions when these tricks don't work. If your Kindle device won’t turn on, for most of the time, this doesn’t mean that it’s “broken” or has a problem. Most of the electronic devices, including smartphones or tablets, have a tendency to become “stuck”, when the device is stuck, the power is on but it will not work properly because it’s locked up. 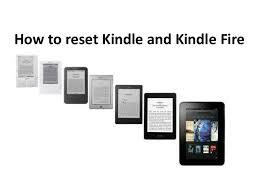 To unlock the Kindle device, the easiest and fastest solutions is resetting your Kindle device. Press and hold down the power button for 20 seconds or longer. Then turn the device back on by hitting the power button again. If this doesn’t work the first time, you can try holding the button down for 30 seconds or longer. Most of the time, this will be all you have to do to make the Kindle Fire work again. If the soft resetting didn't work, and the device continued locking up, you can reboot the device to factory settings to clear out any data or apps. Tap the "Quick Settings" icon and then press "More" > "Device" > "Reset to Factory Defaults". Please keep this in mind that it will delete all the data on your device, although you can download the purchased apps or books later from Amazon Cloud. Related Reading: The detailed guide to reset all kinds of Kindle eReader and Kindle Fire. Another common reason for Kindle does not turn on is the battery running out, the device will not turn on unless you recharge it. Plugging the Kindle device into your computer and wait about 30 minutes before trying to turn it on again. If the device refuses to start up, try resetting it again. If it still won’t turn on, it’s possible that you have a broken charging cable. The cables that come with the Kindle are not known for their quality. Try charging the tablet with another cord that has a Micro USB connection and see if the device responds. 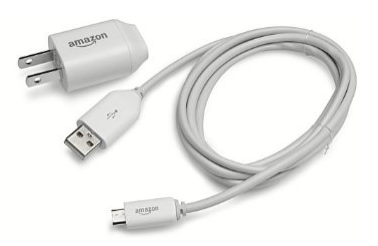 Normally, the charging cord from your smartphones and tablets(Android Device) will work with the Kindle. And there another possibility is that the battery is broken, then you need to replace a new one. Here is a picture guide for you to replace the battery by yourself - Kindle Fire Battery Replacement, but if you found it hard to handle then you need to seek for professional help. If neither resetting the device nor recharging it solves the problem, the device's hardware may have broken, and you will need to have it repaired or replaced. The Kindle Fire is not easy to open and fix, so unless you have electronics repair experience, contact Amazon to arrange for repair. But if you want to repair it by yourself, you can follow some video tutorials on YouTube. Here is a step-by-step video repair guide for the Kindle Fire HD take apart and disassemble. Whether you need to repair a broken part or replace a damaged battery, you can follow this video to fix the broken part. After all these attempts to fix it by yourself, if your Kindle device still doesn't turn on, or you think it is too hard to fix the broken part by yourself, you can visit Kindle official help page for more information or contact Kindle customer service to get help. You can also visit Kindle Facebook page. Maybe it will give you a quick response to solve your problems. If your Kindle has out of One-Year Limited Warranty, or you think it is more convenient for you, then try to contact the local Kindle technicians to repair your device. I followed the instructions to turn my stubborn kindle on and it worked like magic. Very helpful site. Thank-you! Thanks for sharing the all parts of a kindle device. I followed the instructions and, viola, my Kindle rebooted straight away. Thank you so much. Info was most helpful. My Kindle is stuck on the second start up scene, it stays there till it goes flat. So i cant access the reset, is there any solution for this? Jim, did you ever have your problem solved? I don't know what happened to ours yesterday, but when we went to turn it on it gets stuck on the fire start up page and goes no further. I've tried the holdingirls hehe start button down & the pressing it again, but nothing. To unlock the Kindle device, the easiest and fast solutions is reset your Kindle device. Press and holding down the power button for 20 seconds or more. Then turn the device back on by hitting the power button again. If this doesn’t work the first time, you can try holding the button down for 30 seconds or more. Most of the time, this will be all you have to do to get the Kindle Fire up and working again. Did you ever figure out a solution to this problem? Im having the exact same issue. I have a years worth of pics of my kids on there that I want to retrieve. I took the back off and can not find any kind of memory card. I haven't used my little kindle in a long time and the battery was completely dead apparently. I have a screen that says "Empty Battery Connect your Kindle to a power source and charge it until this screen disappears. This may take 30 minutes. 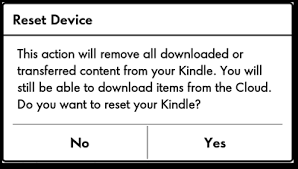 If you continue to see this screen after charging, you will need to reset your Kindle. Unplug it from the power source, then slide and hold the power switch for 15 seconds." I've done all these things. The screen did not go away even after 2-3 hours and I held the on switch for more than 15 seconds and still nothing. Does this mean my Kindle is dead? Do I need to have the battery replaced? If so, where would I have this done? Is it worth it? It looks like model #D00901 but the writing on the back is quite small. There is other information there as well but hard to read at least for these old eyes. This Kindle has a little keyboard on the front. It's nothing fancy, but my library now has books that I can download onto a kindle and I want to be able to use it if I can. Ruth, I have the same problem. My kindle has been sitting for quite a long time and just won't charge. I have tried to charge the kindle and the charging light goes on, but after a minute or two, it shuts off. Did anyone answer you for your problem? Please let me know. Thank you very much. Problem solved! You rock! Thank you. I have had 2 kindles that won't charge or turn on again despite trying all options. There must be a technical issue involved here as the battery compartment area becomes extremely hot to the touch. Incidently I have the same issue with my Hudle. Hence my return to kindle fire. It is particularly frustrating because my original kindle fire was brilliant and three tears later is still going strong with daily use. The only issue with that of course is lack of memory capacity. It tells you to remove apps, photos ect but as it has disabled my internet owing to lack of storage space, when you try to delete any items it declines telling you that you need an internet connection to do so... Go figure ?? Tried suggestions as above and kindle came back to life ! Panic over. Thank you. My Kindle got “stuck". The instructions worked beautifully. Easy Peasy! It worked like magic! Thank you so much! I need help with my kindle fire tablet. It won't turn on or charge at all. Don't reset to factory settings if you have collections and were silly enogh to convert to Amazon Australia! My collections did not come throug. Amazon support managed to get my books back (though I am pretty sure not all of them) and collections (empty). I had to do factory reset and load each book on the device to get them organised again. Took me hours. yes, we should back up everything before resetting the Kindle. Brilliant. Followed your advice and my Kindle dutifully came back to life. Thank you so much. Glad to know your problem has been solved. It was frozen, but is not anymore. However, it now won't turn on. I tried a quick hold, as usual, and it didn't work. When I hold it for about 7 seconds the light flashes and the screen is still blank. Suggestions please :-) Thank you! My kindle shut off unexpectedly this morning. I tried the hard reset but still won't turn on. How do I do a factory reset if I can't get anything but a black screen. Ugh... Help! Press and holding down the power button for 20 seconds or more. Then turn the device back on by hitting the power button again. If this doesn’t work the first time, you can try holding the button down for 30 seconds or more. Most of the time, this will be all you have to do to get the Kindle Fire up and working again. If it still does not work, please contact the Kindle Customer service to solve this problem. If the problem still has not solved, you may contact the Amazon customer service. I tried all the reset functions to get my kindle back on, but they are not working. Any suggestions? If you have tried everything, but failed. Please go to Amazon to ask for their assistance. Worked for me! held for 30 seconds then pushed button again and it worked. You'r a little star it worked first time following your instructions.I was so upset last night when it stopped working as it is relatively Kindle. I read an ebook a day. Thanks for helping me get it going again. This works I’m so happy. Mine has been off for over a year or 2 and I’m so happy. Thank you. Thank you for your feedback. We are glad to know that! Thank you, thank you, thank you! My Paperwhite broke, so I needed to dig out an old Kindle 3 to use while waiting for a replacement. The battery was long dead and I was having all sorts of trouble unfreezing it. Your advice worked like a charm. Cheers! I tried to reset and power on kindle but still no success .I tried to power on my kindle after 3years but now its not power own after charging till 4 hrs. I am doing the one where you connect your kindle to your computer. Instead of using a computer, I'm using a laptop. My Kindle kind of turned on but not turned on where it shows a battery sign that means that it needs charge. I've been doing this for the pass 2 hours and it hasn't turned on completely. Am I doing anything wrong? What is it suppose to do after 30 minutes? Found this page via Google search "kindle won't turn on". I was looking through the possible options and tried the reset option first, which didn't work. I was dreading the section that said "take apart and repair", because my "repairs" are often hit-and-miss. Saw the other option there that said "change the USB cable and let charge for 30 minutes" - figured hey WTH, might as well, as long as I'm looking up my options online. Chose a cable I knew was good, and about 10 minutes later, boom, it came on. Omg, so grateful. We are glad to know this solution works for your device! It worked! Guess I wasn't holding the power button down long enough. Thank you thank you! Excellent post - first result when I started to type "why won't my kindle..." And this worked - thank you! First suggestion worked like a charm. Thank you. We are glad to know your problem has been resolved. Happy new year! my kindle fire will not go past the page upon start up of Kindle fire, I have tried holding the power button down for 20 seconds and 30 seconds. it turns yo The kindle fire and will flash blank and then back go the kindle fire page..now what? help! I've bought 4 kindle fires. On each one, after just about a year of no issues, it would not do a thing. Totally dead. Consensus is that the starting mechanism...i forget the technical name broke and does in many kindles. When you put the cable into the unit it can't connect so the whole section needs replacement. Needle ss to say ive tried to reset it numerous times hoping that just maybe....but nothing. I do feel like a fool for buying them even when I was pretty sure the same thing would happen again, which it did. Who fixes Kindles? Amazon doesn't. Thanks! We are sincerely sorry for this issue, but we do not fix the Kindle fire. Please contact the Amazon customer service at first. Thanks, 30 second reset worked great. Thank you - very helpful! Followed your instructions, worked a treat. Kindle now works. Many thanks. Thank you so much. What a life-saver! Thank you so much. Thanks to this my kindle is working again. I thought it was dead for sure. How do you reset it if will not start? How do you reset it if won't start? I tried everything and thought to plug it in my laptop. Started right up. It worked 100%. In starting my device. All the tips and tricks are in the guide, If it can't solve your problem on your first try, you can try more times or ask some guy who knows this for help. Thanks for sharing about the solution for Kindle won't turn on or Kindle screen frozen issue. I hope you will share another topic about Kindle issues. this post is also very useful for users. Thank you for your advice. We will do some investigation about kindle issues you are concerned and write some useful articles. We are glad that this article can help you. Thankyou! You save me buying a new Kindle!